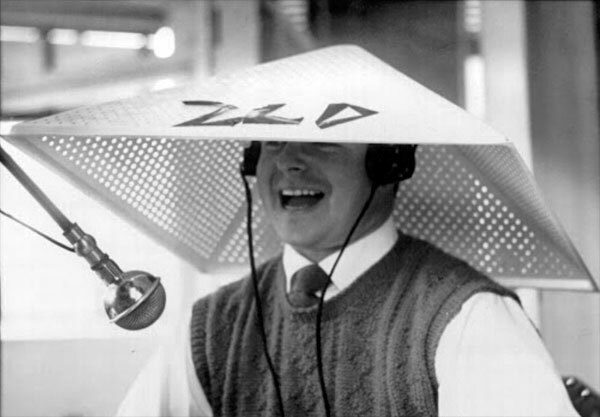 Ray’s ‘hat’ is one of the old ceiling baffles that were used to dampen echoes and reduce noise in the operating room. These tiles were replaced by the familiar perforated acoustic tiles. 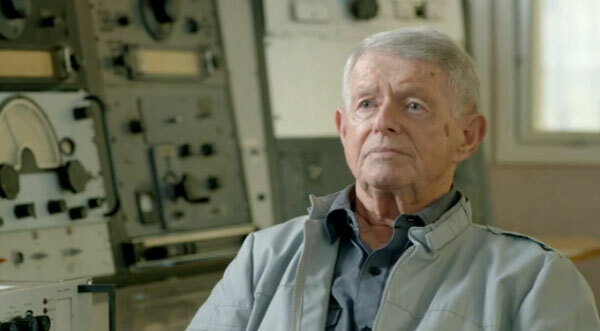 Members of Musick Point Radio Group are saddened to learn that long-time MPRG member and former Auckland Radio ZLD operator Ramon (Ray) Chandler has died, age 87. 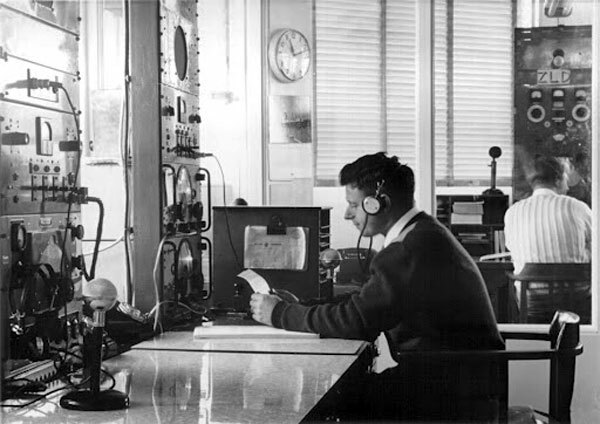 Auckland Radio ZLD operators Ray Chandler and Dave Currie, pictured in 1959. 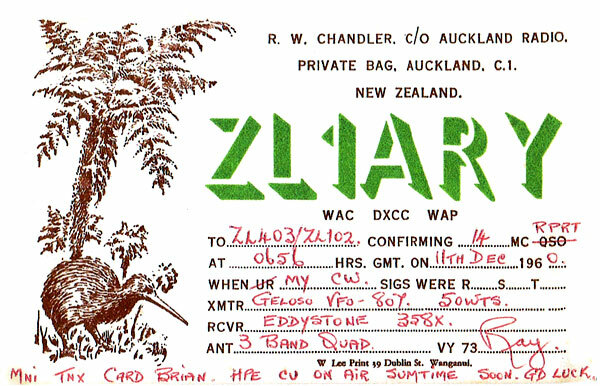 ZLD operator Raymon Chandler was also an amateur radio operator, and sent this QSL card to shortwave listener Brian Webb in December 1960. Ray featured in the reactivation of 500kHz CW at Musick Memorial Radio Station in 2010.